Question 12: According to the government’s propaganda materials, The Church of Almighty God was founded by someone named Zhao in northeastern China. This man is the high priest of The Church of Almighty God. He is leading the Church. Believers of The Church of Almighty God claim that he is someone used by the Holy Spirit. They often listen to the preaching of this person who is used by the Holy Spirit, and they listen to him in the administrative work of the church. Although you believers of Almighty God read the word of Almighty God, pray in the name of Almighty God, regard The Word Appears in the Flesh expressed by Almighty God as canonical doctrine, and communicate the word of Almighty God in your congregation, in any case, this person is the one who has the final say in The Church of Almighty God. So we are certain that The Church of Almighty God was created by this person. Both the CCP and the religious community characterize The Church of Almighty God as an organization of man. I think it is true. Do you understand this? Answer: The CCP has studied The Church of Almighty God for more than 20 years, do you mean that is the result of such a study? Then tell me, who founded Christianity and Catholicism? Could it be Paul or Peter who was the founder? Who founded Judaism? Could it be Moses? Isn't it absurd? You atheists have never acknowledged the existence of God, not to mention the fact of God's incarnation. No matter the incarnate Christ has expressed how much truth, accomplished how much work, and brought how much salvation to mankind, don't you all endeavor to deny, cover up and condemn Him? Do you think that Christianity and Catholicism were founded by man, so these are organizations of man? This is your greatest absurdity. Had the Lord Jesus not appeared to work, no believers or followers of the Lord would have been engendered, let alone the creation of Christianity. Isn't this the fact? How could the apostles have created a church on the merit of their own giftedness alone? Can you go by people's reception of the leadership and shepherding of Peter, John and other apostles and say that Christianity was founded by the apostles and it is an organization of man? The Church of Almighty God was begotten entirely by the appearance and work of Almighty God. It was because people heard the voice of God from many truths expressed by Almighty God that they returned before God and coalesced into the church. Upon appearing to work, Almighty God personally witnessed the man used by the Holy Spirit, who is the leader of The Church of Almighty God. Just as Moses in the Age of Law and the apostles in the Age of Grace, he is the man used by God to do his duty to water, shepherd and lead the chosen people of God. Your Communist Party denies God's work and all the truths expressed by God, even denying that the One believed in and followed by the chosen people of God is the incarnate God. Isn't there an ulterior motive? Had it not been the appearance and work of Almighty God, The Church of Almighty God would not have been begotten, and it would not exist. This is an undeniable fact. The CCP is consciously aware that the Christians of The Church of Almighty God pray in the name of Almighty God. What they read and communicate in congregation is the word of Almighty God. Why does the CCP still tell such glaring lies? The One God's chosen people of The Church of Almighty God believe in is Almighty God. God's chosen people follow the leadership of the man who is used by the Holy Spirit according to the word of Almighty God. This is a fact. You will know clearly when I read two passages of Almighty God’s word to you. Almighty God says, “The work carried out by the one who is used by God is in order to cooperate with the work of Christ or the Holy Spirit. This man is raised up by God among man, he is there to lead all of God's chosen ones, and he is also raised up by God in order to do the work of human cooperation. … He who is used by God, on the other hand, is someone who has been prepared by God, and who possesses a certain caliber, and has humanity. He has been prepared and made perfect in advance by the Holy Spirit, and is completely led by the Holy Spirit, and, particularly when it comes to his work, he is directed and commanded by the Holy Spirit—as a result of which there is no deviation on the path of leading God's chosen ones, for God surely takes responsibility for His own work, and God does His own work at all times” (“Concerning God’s Use of Man” in The Word Appears in the Flesh). In “The Ten Administrative Decrees That Must Be Obeyed by God's Chosen People in the Age of Kingdom,” the seventh administrative decree also states clearly: “In work and matters of the church, apart from obeying God, in everything you should follow the instructions of the man who is used by the Holy Spirit. Even the slightest infraction is unacceptable. You must be absolute in your compliance, and must not analyze right or wrong; what’s right or wrong has nothing to do with you. You must only concern yourself with total obedience” God’s chosen people’s acceptance of the leadership and watering of the man used by the Holy Spirit is practicing God’s word and obeying God. When your CCP studied The Church of Almighty God, why didn’t it take the time to read Almighty God’s word? Why hasn’t it seen the ten administrative decrees of Almighty God? Why didn’t you seek from God’s chosen people of The Church of Almighty God and let them communicate the truth to you? 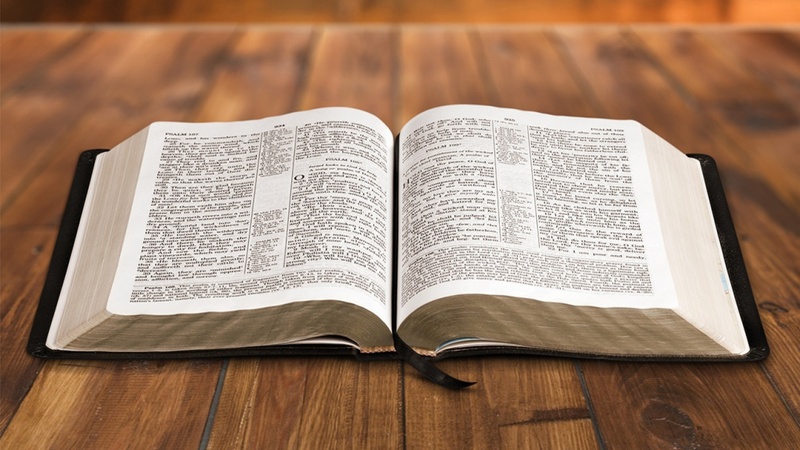 You merely studied The Church of Almighty God from the outside without reading Almighty God’s word and understanding God’s work, how could you really understand The Church of Almighty God? Why does the CCP government keep saying that The Church of Almighty God is an organization of man? Why hasn’t it said a word about the incarnate God? Why hasn’t it mentioned a word about the book The Word Appears in the Flesh? Actually, what the CCP fears most is the truth expressed by Almighty God, because the CCP knows deep down that all the believers of Almighty God have accepted Almighty God after reading the book The Word Appears in the Flesh. So the CCP distracts people’s attention by saying that The Church of Almighty God is an organization of man created by man to intentionally conceal the fact of Almighty God, Christ of the last days, appearing to work, so people will pay attention to this person. The CCP does this in order to stop people from believing in and following God. This is its real purpose. The CCP distorts the facts and asserts that the church where God appears to work is an organization of man. This is the CCP’s excuse for suppressing and persecuting God’s church. The CCP is too cunning and vicious! Isn’t what I said the truth? You have to distinguish between them. You must not listen to the rumors of the CCP anymore! Previous：Question 11: You witness that both Jesus and Almighty God are Christ, the first and the last Christ. Our CCP does not recognize it. In The Internationale, it clearly said, “There has never been any savior of the world.” You insist on witnessing the advent of Christ the Savior. How can the CCP not condemn you? In our opinion, the Jesus whom Christians believe in was an ordinary man. He was even nailed on the cross. Even Judaism did not recognize Him as Christ. 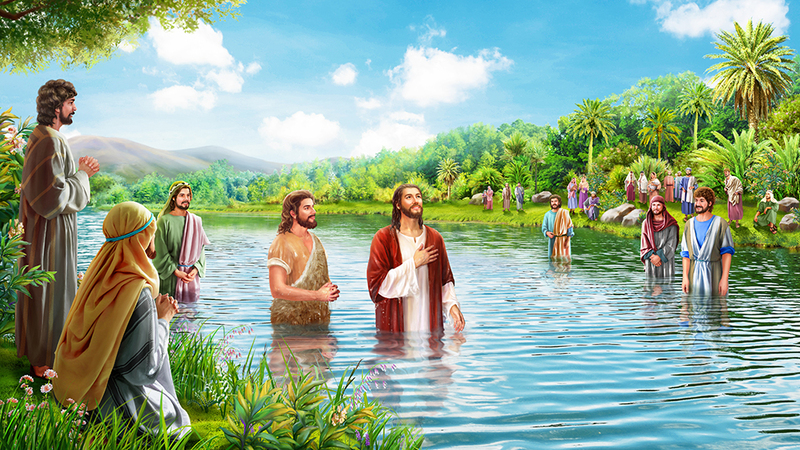 The incarnate Almighty God in the last days that you witness is also an ordinary person in fact. The CCP's documents describe it clearly that He has a surname and first name. This is also a fact. Why do you witness that such an ordinary person is Christ, the appearance of God? It is really incredible! No matter how you witness what truth has been expressed and how judgment work in the last days has been done by Almighty God, our CCP will not recognize that this person is God. I think you are just like those people of Christianity, Catholicism, and Eastern Orthodoxy who believe in Jesus, believing in a man as God. Isn't it ignorant? What exactly is God and the appearance and work of God? Does it mean that the mere expression of the truth and doing the work of God are the appearance of the true God? This is what we will never accept. If God can perform miracles and wonders, destroy the CCP and all those who resist Him, then we will recognize Him as the true God. If God appears in the sky, makes a thunderous roar that frightens the entire human race, that is the appearance of God. Then our CCP will recognize Him. Otherwise, the CCP will never acknowledge there is God. Next：Question 13: All of you believe in God; I believe in Marx and Lenin. My specialty is research of various religious beliefs. Through many years of research, I have discovered a problem. All religious belief holds that there is a God. Yet of all the people who believe in God, none has ever seen God. Their belief is based solely on their own feelings. I therefore have reached a conclusion about religious belief: Religious belief is purely imaginary; it is superstition, and has no basis in science. Modern society is a society in which science is highly developed. Everything must be based on science in order for there to be no mistakes. We Communist Party members believe in Marxism-Leninism. We don’t believe that there is a God. How does The Internationale go? “There has never been any Savior of the world, nor deities, nor emperors on which to depend. To create humankind's happiness, we must entirely depend on ourselves!” The Internationale clearly states “There has never been any Savior of the world.” The reason that the human race in the past believed in God and practiced superstition is mainly because human beings at that time, facing such phenomena of the natural world as the sun, moon, and stars; wind, rain, thunder, and lightning, had no way to produce a scientific explanation. Hence, fear and wonder arose in their minds about supernatural powers. Thus the earliest concepts of religion were formed. Also, when humans could not solve such difficulties as natural disasters, and disease, they hoped to attain spiritual comfort through respectfully making obeisance to God. This is how religion came into being. Obviously, this was not rational, and it was not scientific! Nowadays, the human race has advanced, and science is flourishing. In such fields as the aerospace industry, biotechnology, genetic engineering, and medicine, the human race has made considerable progress. In the past, human beings did not understand, and had no way to solve many problems. Nowadays these problems can all be explained through science, and science can be relied on to provide solutions. In this age of developed science and technology, if people still believe in God, is this not foolish and ignorant? Wouldn’t such people be left behind by this age? The only practical thing is for us to believe in science.